This Semi-traditional mehendi green and white card carries a beautiful floral filigree pattern on the front with a matching envelope made from a matte finish artboard. 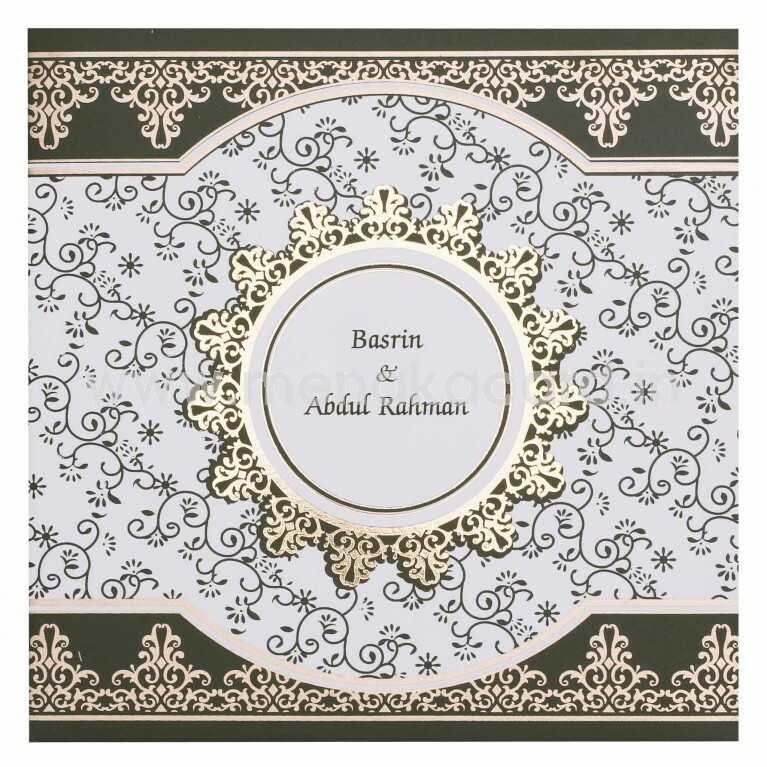 Green floral patterns decorate the white band down the centre that holds the names of the couple printed at the centre of an ornate gold foil frame, with a green and gold filigree border on the outsides. The insert of this card is stuck to the centre and is printed with contrasting vibrant green text. 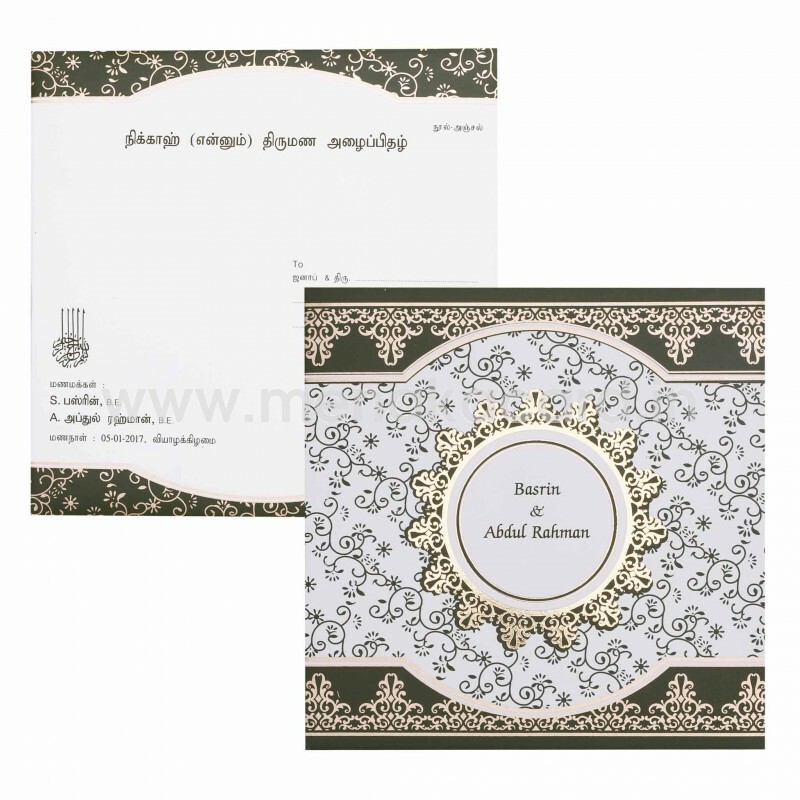 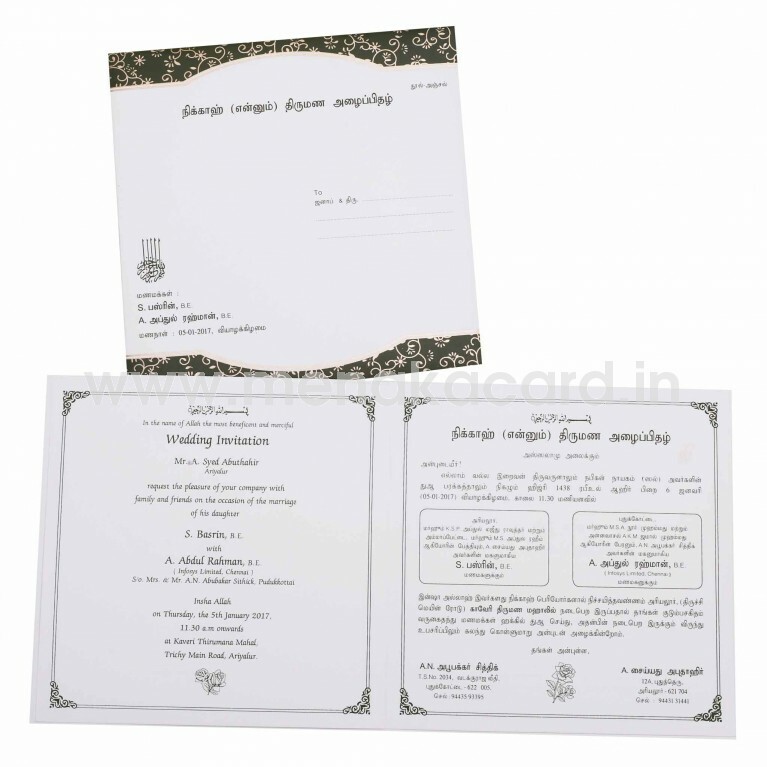 This can be used for Muslim, Hindu and Multi-faith weddings, receptions, engagements etc.